California’s next four years of net metering policy have fallen into place, and for the solar industry, it’s a major victory -- with a big dose of uncertainty, and a considerable amount of last-minute conflict. 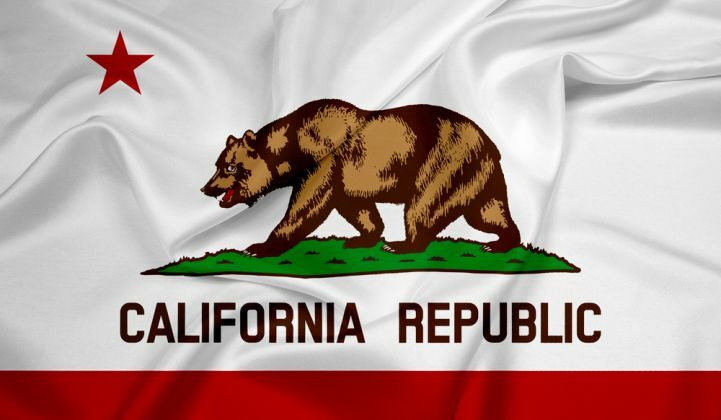 On Thursday, the California Public Utilities Commission voted 3-to-2 to enact its net energy metering (NEM) successor tariff, also known as NEM 2.0. For the past decade, this policy has assured net-metered customers that they’ll earn retail-rate payments for their surplus solar energy, which has helped push the state to lead the country in rooftop solar deployments. As expected, Thursday’s decision upholds those retail rates, handing solar companies an important win, compared to recent net-metering losses in states like Hawaii and Nevada. Much of the public battle between solar advocates and California’s big investor-owned utilities has been about these rates -- utilities had asked to cut them, saying they unfairly shifted costs to non-solar customers. But the new regime also imposes an “aggressive” move to time-of-use rates for net-metered customers, Commission President Michael Picker noted. Starting as soon as the successor tariff is implemented, net-metered solar customers will be required to move to TOU rates that charge different prices during different times of the day, to better match real-time costs of generating and transmitting energy across the grid at large. Solar groups have given tentative support to this concept, but have worried that its implementation, still being worked out in CPUC proceedings and upcoming pilot projects, might make it difficult to predict the economics of net-metered solar systems in years to come. "We support a movement towards time-of-use rates, as better aligning grid needs with economic signals," Adam Browning, executive director of the Vote Solar advocacy group, said after Thursday's vote, but added, "we would have preferred to see a more gradual phase-in." The 124-page decision, which included some changes posted only a day before Thursday’s vote, also reduced some of the “non-bypassable” charges that new net-metered customers will be required to pay. Specifically, they won’t pay transmission charges as part of that mix. That will reduce the average non-bypassable costs of a typical residential rooftop solar system from about 4 to 5 cents to about 2 to 3 cents per kilowatt-hour, Browning said. But Commissioners Catherine Sandoval and Mike Florio, who voted no, said it was this last-minute exclusion of transmission charges that forced their decisions. Both said it was going too far in a decision that already favors solar compensation over fairly sharing grid and energy costs across all classes of utility customers. But Commissioners Liane Randolph and Carla Peterman joined Commission President Michael Picker in voting yes for the decision and putting it into effect. Each noted that the decision wasn’t perfect. They also highlighted that Thursday’s decision sets a 2019 deadline to reconsider its net metering policies and to adjust their value equations in light of other regulatory proceedings underway in the state. Here’s our previous coverage that lays out the scope of Thursday’s decision and how it fits into California's broader moves to incorporate rooftop solar, energy storage, demand response and other grid-edge technologies into its energy regulatory regime. This Thursday, the California Public Utilities Commission is expected to vote on a final plan for what the state’s next phase of net energy metering (NEM) policies will look like -- at least for the next four years. And if the final decision looks anything like last month’s proposed decision -- and according to observers, it probably will -- it will be a major victory for the solar industry. So far, we’ve seen little sign that commissioners are going to reconsider the key solar-friendly points of last month’s proposed decision -- to retain retail rates, and reject additional fees, for net-metered solar systems. That’s more or less what solar advocates had asked for, and it’s a pretty good deal, compared to other net-metering policies coming out of states like Hawaii or, more recently, Nevada. The proposal hasn’t sat well with investor-owned utilities Pacific Gas & Electric, Southern California Edison and San Diego Gas & Electric, however. Earlier this month, they filed an unusual joint alternative proposal, seeking a last-minute compromise -- an export compensation rate of 15 cents per kilowatt-hour until installed systems reach 7 percent of a utility’s customer peak demand, and 13 cents per kilowatt-hour thereafter. That’s more than the rates utilities had originally proposed, but significantly less than the average retail rates paid by residential customers. Meanwhile, the unexpected decision by Congress to extend the federal Investment Tax Credit for solar has added a new variable to consider in the net metering debate -- namely, how it might alter the equation for solar costs over the coming years. Last Wednesday, CPUC Commissioner Michael Florio held a meeting for utilities, solar companies and other parties to discuss how the ITC extension might require alterations to this week’s final NEM 2.0 decision. Solar advocates had worried that this meeting might serve as a forum for the commission to introduce the new utility ideas into an alternative proposal. But Wednesday’s meeting passed without mention of any significant changes to what’s already been proposed. “The news, really, was in what didn’t happen -- no alternative was proposed” Bernadette Del Chiaro, executive director of the California Solar Energy Industries Association (CalSEIA), said in an email this week. With only a day now left before Thursday’s vote, it’s unlikely that an alternative proposal will emerge, given that the CPUC is already several weeks past its statutory deadline to set the new program in motion, she noted. The issue of 10-year versus 20-year guarantees is potentially problematic for solar economics. Today, existing net-metering customers are guaranteed to keep their net metering rates for 20 years under a “grandfathering” structure, and last month’s proposed decision applied the same logic to the successor program. Cutting that period to 20 years could undermine the business case for power-purchase agreements, leases and other structures that have driven the third-party solar models that now dominate new rooftop PV growth. That brings up an important point, however, she said -- the fact that net metering 2.0, as the CPUC’s successor program is called, is meant as an interim solution. Specifically, the CPUC highlighted that it intends to revisit net-metering policies in 2019. By then, it expects to have a whole new set of regulatory structures in place that will put a new spin on the question of finding the right value for rooftop solar and other distributed energy resources (DERs). These new policies include time-of-use rates, which will charge different prices at different times of the day to better tie the cost of retail power to wholesale energy costs. These are part of a broader set of residential rate changes set in place by the CPUC last year, including flattening the state's longstanding tiered monthly charges, adding minimum monthly bills, and switching all residential customers to time-of-use rates by the end of the decade. Under the CPUC’s proposed NEM decision, these TOU rates are set to be applied first to solar customers, ahead of a broad switchover for most residential customers starting in 2019. Beyond that, however, the CPUC is looking forward to the need to merge net-metering policies with two big distributed energy proceedings it has underway. The first, its distribution resources plan (DRP), is meant to include the value of rooftop solar, energy storage, demand response and other DERs in the multibillion-dollar grid investment plans of the state’s big three utilities. The second, known as integration of distributed energy resources (IDER), is meant to put these values into play as real-world economic incentives, rate structures and utility tariffs. Given the choice between making a large change from existing NEM now and waiting for what promises to be much better tools for grounding that choice, we choose to base the successor tariff on current NEM, with changes that will better align the responsibilities of NEM customers with those of other customers in their class, looking toward the time when a more comprehensive reform of residential rates is completed and information from the DRP and IDER proceedings is available. This is a common challenge for many different CPUC proceedings, from its energy storage mandate to its new approaches to demand response and energy efficiency, Wang noted in a recent blog post. But its specific mention in last month’s NEM proposal is “the first time the CPUC has made this point” explicitly, she said in an interview this week.